Call today for FAST chimney cleaners in Sanford, ME! Expert chimney sweepers will help preserve the value of your home! When they say ‘We do it all” they really mean it! We have an excellent team of chimney cleaners, and chimney sweepers who have knowledge in the best ways to clean your chimney no job is too big or too small. Old chimneys can have cracks, chips or are falling apart, our team does restoration work on all chimneys to make sure it is working properly and doesn’t cause more problems, leading to you spending more money. Our team is also knowledgeable in the proper procedure of flashing your chimney, and takes the proper steps to make sure it is done right the first time. Call us today for an estimate on chimney restoration. To insure the life of your chimney it’s important to make sure it’s waterproofed, and our team has the capabilities to waterproof your chimney. We can also install new state of the art chimney liners. A very crucial component to every chimney is the damper. We can inspect your existing damper and make sure it is working efficiently for you, and we also offer new dampers that are great energy savers, and very stylish. You can learn more about the dampers we offer by checking out our website. We take precautions to make the whole cleaning process dirt and dust free! We specialize in dust free cleaning, a service that is convenient and affordable! Don’t forget we also do inspections! Before you work on your house, or roof, call us so we can inspect your chimney! Not only are St. Nicks Complete Chimney Care reliable and professional, their chimney liners are also authorized dealers for Golden Chimney Flue Lining developed by James Golden, the installer of the first pumped chimney liner in the United States. Golden Flue is dedicated to innovating and improving upon the original cast-in-place system developed over 60 years ago in England. 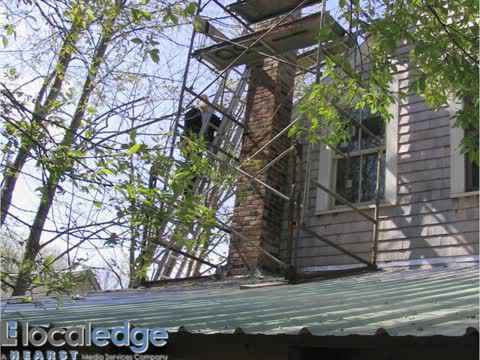 The innovation has lead to vast improvements to chimney lining over the years. The continual dedication to product improvement will ensure you to agree with us that “All Chimneys Are Not Created Equal”. Golden Flue has been installed in historic, residential, and commercial chimneys across the United States. Golden Flue is comprised of Golden Flue, Golden Manufacturing, and Golden Chimney Lining. Call us today at (207) 282-9886 for all of your chimney needs in or around Sanford, ME or check out our Facebook and Twitter pages, better yet stop by our shop for personal one-on-one assistance. We look forward to servicing you! Chimney sweepers proudly serving Sanford, Portland, Biddeford, ME and the surrounding areas. At St Nicks Complete Chimney Care they specialize in chimney cleaning, chimney repair, chimney lining, restoration, inspections, dust free cleaning, dampers, flashing, waterproofing, and much more. When they say "We do it all" they mean it. They are also an authorized Golden Flue Chimney dealer. Call at (207) 282-9886 or find St Nicks Complete Chimney Care on Facebook and Twitter.